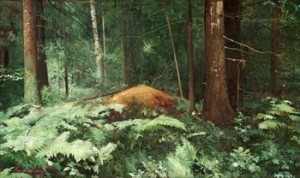 Schilder was a landscape painter and pupil of Ivan Shishkin. His fervent admiration for his mentor shone throughout his landscapes; Schilder s pine trees and snowy forests pay homage to the great painter of Russian forests. His compelling and poetic representations of the Russian landscape reflect his own artistic passion for and naturalistic observation of his native countryside.